For California’s water, now it’s dueling water bonds — four of them. Second bond: In an Aug. 5 open letter to Califonians, Gov. Jerry Brown urged support for his proposed $6 billion water bond, $2 billion of it for water storage. 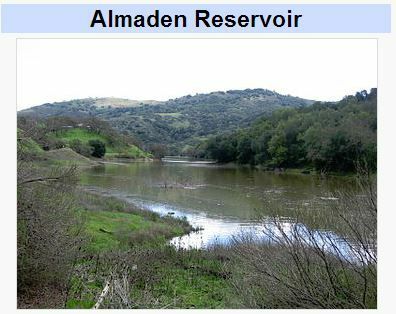 Third bond: Still in the water table is SB848, by state Sen. Lois Wolk, D-Vacaville. It would spend $7.5 billion, including $2 billion on water storage. Fourth bond: Any new proposal, if adopted by the Legislature, would be placed on the November ballot for voter approval. And it would replace the $11.1 billion water bond, Proposition 43, currently slated by the Legislature for the November ballot, but delayed in 2010 and 2012 because legislators knew it would be defeated because of the bad economy. Aside from price, the major difference is that the Brown and Wolk bonds spend $2 billion on water storage, while the GOP and Prop. 43 bonds spend $3 billion. New water storage wouldn’t be available for about another 10 years because it would take seven to eight years to get any new reservoir designed and engineered, environmentally cleared, constructed and certified for operation. It then would take one or more years to fill the reservoirs. The last time voters approved bonds for building new water storage facilities was 1960 for $1.8 billion for the State Water Project. According to the Bureau of Labor Statistics’ Inflation Calculator, that would be $14.5 billion today. And California’s population has more than doubled. GOP bond. The major problem with the Republican proposal, of course, is that party members are a minority in both houses of the Legislature, so their ideas can be ignored — yet not completely. Their emphasis on $3 billion for water storage, instead of the $2 billion in the Brown and Wolk proposals, appeals to inland farm voters that have been leaning Republican. In 2013, State Sen. Andy Vidak, R-Fresno, won a special election in a Democratic district in part by appealing to farmers hurt by the water shortage. Vidak is a co-sponsor of the new GOP bond proposal. So despite the Republicans’ minority status, they cannot be ignored. If Vidak holds his seat in November, and up-and-coming GOP candidate Janet Nguyen takes back a state Senate seat in Orange County now held by Democrats, then Democrats’ chances of taking back their supermajority status in the Senate likely would be ended. Brown bond. One aspect of Brown’s proposed bond is that it contains $475 million for the controversial Central Valley Project Improvement Act. And an additional $215 million would go to restoration of watershed lands that support endangered species. This could worsen water farm shortages during droughts. Wolk bond. As to Wolk’s bond, it prioritizes groundwater storage over dams and surface water storage. Her bill allocates only $1 billion for dams, but that funding would be diluted among a number of other projects and programs. If Brown’s 2012 negotiations over the tax increase that became Proposition 30 are any indication, the result passed by the Legislature likely will be a blend of two more of these proposals. Voters especially should look for the effect on water rights. Under California’s water management system, farmers with “junior water rights” are asked to make fallow their fields during droughts so that the water can be used for cities, farmers with senior water rights and fish runs on rivers. Rather than storing up enough water for droughts, California’s water policy forces some farmers to get wiped out during droughts. Therefore, all voters might want to know if there is any water for those drought-hit farmers who sacrifice for everyone in this bill. Farmers too often sit in the back of the tractor in California politics. But for bonds this year, they’re trying to crawl up into the driver’s seat.